TERMIGUARD is a powerful herbal wood protector, formulated from Anacardium Pericarp Extract. Its a wood penetrating low density organic solvent. Ready to use application on all types of wood. 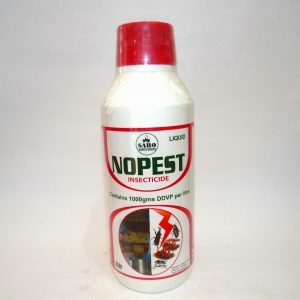 It is highly effective against Termites & Bores. It increases the life span of woods. Contains active ingredient: Deltamethrin 2.5%DP. Deltamethrin is an insecticide belonging to the pyrethroid family. Deltamethrin is used outdoors on lawns, ornamental gardens, golf courses, and indoors as a spot or crack and crevice treatment. It is a broad-spectrum insecticide. Registered for use on various crops including cotton, corn, cereals, soybeans, and vegetables for pests such as mites, ants, weevils, and beetles. 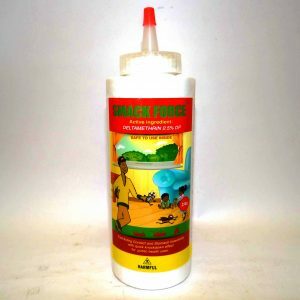 It is very effective against insects via ingestion and direct contact. It contains 1000gms of DDVP per litre. Dichlorvos or 2,2-dichlorovinyl dimethyl phosphate (commonly abbreviated as DDVP) is an organophosphate, widely used as an insecticide to control household pests, in public health, and protecting stored product from insects.It acts against insects as both a contact and a stomach poison. 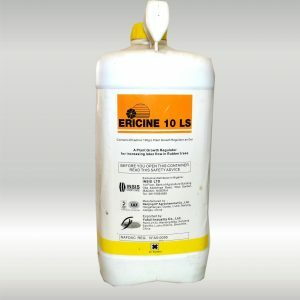 It contains Ethephon 100g/L which is a plant growth regulator as Gel. Ethephon’s mode of action acts via liberation of ethylene which is absorbed by the plant and interferes in the growth process. It is also used in the acceleration of ripening of fruits and vegetables. It is a plant growth regulator for increasing latex flow in Rubber trees. Contains Fluroxypyr-meptyl 230.7g/L and Cyhalofop-butyl 184.3g/l (EC). A post-emergence herbicide with foliar uptake only and no soil activity. It contains Hexaconazole 5% S.C. as its active ingredient. Hexaconazole is a Broad-spectrum systemic triazole fungicide used for the control of fungi. 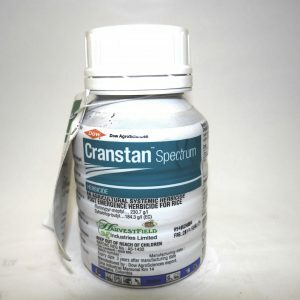 It is a systemic fungicide with protective and curative action. Hexaconazole is mainly used on bananas and peppers.